If you are a veteran getting ready to file your benefits claim for the first time, you may want to consider filing the claim under the Veterans' Administration's Fully Developed Claim program, or FDC Program. What Is the Fully Developed Claim Program? “The Fully Developed Claims (FDC) program is a way for veterans and survivors to get faster decisions from VA on compensation, pension, and survivor benefit claims. Veterans and survivors submit all relevant records in their possession, and certify that they have no further evidence to submit. VA can then review and process the claim more quickly than the traditional route which involves often lengthy VA development. 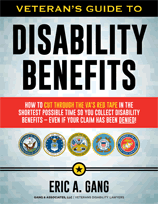 VA literature states that a Fully Developed Claim is the fastest way to get a benefits claim processed and that there is no risk to participating. In order to file an FDC, you will need to follow certain procedures and use certain forms. What follows is a brief overview of the steps you need to take to file a claim. First, it is very important that you submit any relevant evidence along with your claim. This includes private medical and treatment records. You should also identify any relevant medical and treatment records that are available at a federal facility, such as a VA medical center. Of course, as a veterans' benefits attorney, I am very keen on making certain that clients develop nexus evidence, or evidence linking their disability to service. Therefore, your claim should include a well-reasoned opinion letter from a doctor explaining why your disability is related to service; it should also provide an extensive rationale to support his conclusion. Without this evidence, you would be at the mercy of the VA examiner who will likely say there is no connection between the disability claim you are making and your military service. The second step is to use VA Form 21-526EZ. You can download a copy of this form directly from this page. Third, if you're making a claim for post-traumatic stress disorder (PTSD), you should also complete VA Form 21-0781. 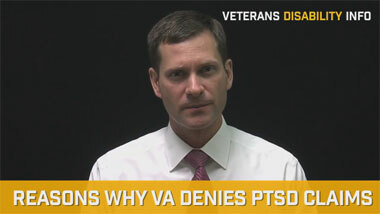 You will need to provide all the details and fully explain the circumstances that resulted in PTSD. 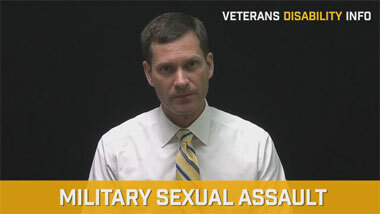 If the claim is based on PTSD resulting from a personal or sexual assault, then you must complete VA Form 21-0781a. If appropriate, make sure your employer provides the necessary information so that form 21-4192 can be completed accurately. In short, your initial claim under the FDC program should include all your medical records, a medical nexus statement from a doctor (including an extensive rationale, without speculative language, that ties your medical condition to military service) and all the appropriate forms. Be as thorough as you can: the goal is to make certain that when you first file the claim you have collected, presented, and established all elements of proof. If you have questions about using the Fully Developed Claims program, or want to learn how to properly file a claim for veteran’s benefits, please visit my resource page. 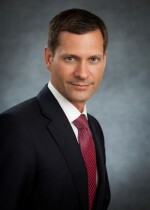 You will be off to a better start if you make certain you have evidence of an in-service occurrence, (meaning something happened in service); Second, you must include evidence that you have a current chronic disability (with an actual diagnosis and medical evidence to support it); Third, you must show that a nexus exists between your in-service event and your current disability. I would also like to add that it is possible that the VA will reject your claim. This happens when there are gaps in treatment history, a lengthy break between discharge and the onset of a diagnosis, and long periods of time without any complaints. The VA also will be skeptical if there are inconsistent statements about the onset or progression of the condition, or if there are any post-service intervening events that appear to be the cause of your current disability. As you prepare you claim, you should find a way to explain away any variables so that the VA is assured that your service was in fact the cause for the problem. Of course, if your FDC claim is not granted, then I highly recommend you contact a VA disability benefits or VA benefits lawyer to assist you with the appeal process.